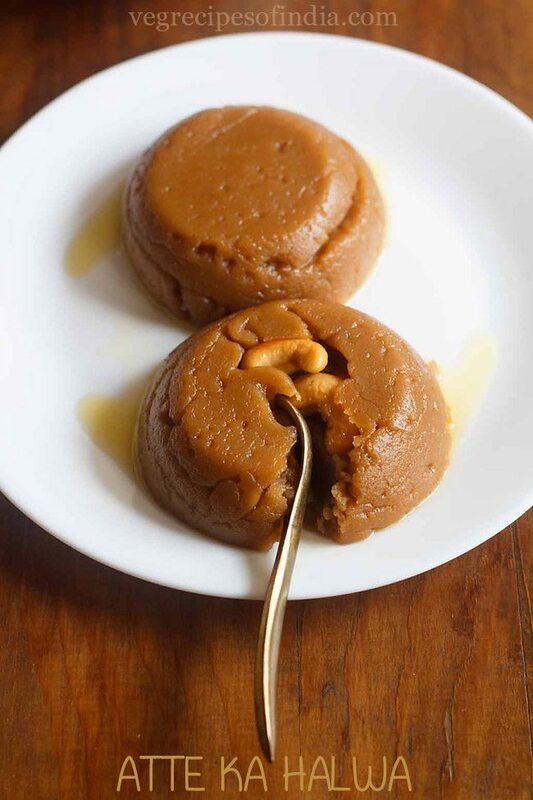 wheat flour halwa or atta halwa is a smooth sweet pudding made with whole wheat flour, ghee sugar and water. 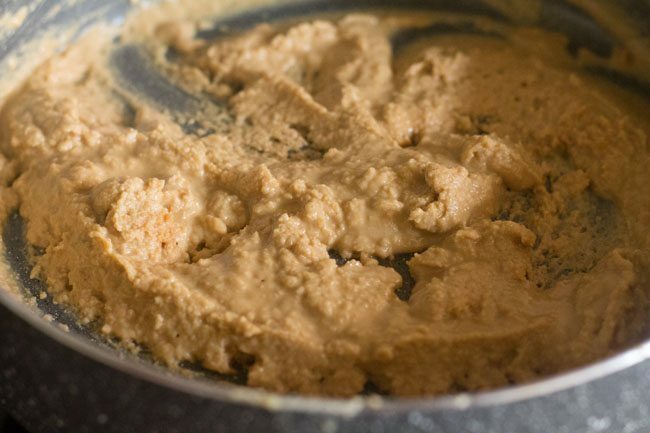 wheat halwa recipe with step by step photos – halwa made from whole wheat flour or atta is a popular sweet made in north india. 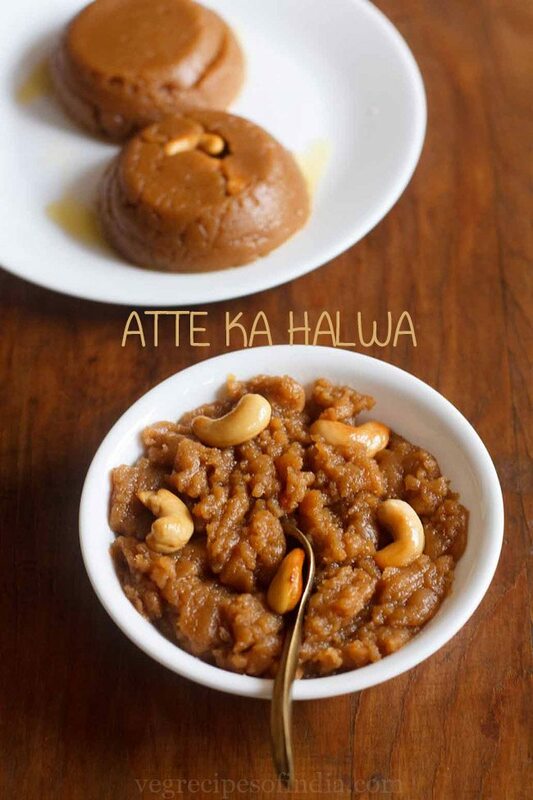 this atte ka halwa recipe is a tasty melt in the mouth halwa and taste too good. 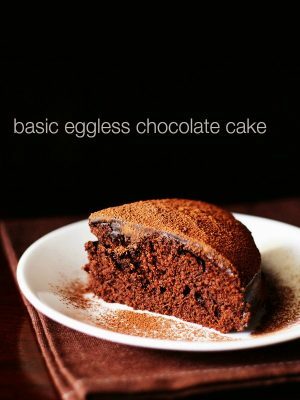 the recipe is easy to make and can be made for any occasion or any day. it could be celebration, a festival or when you just want to have something sweet. this atta ka halwa is smooth, soft and moist in texture. 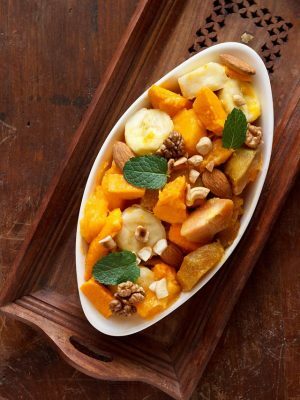 you can add dry fruits of your choice like almonds, cashews or raisins in the halwa. another popular variation of this halwa is karah prashad which is served in gurudwaras. but in karah prashad preparation the same proportion (quantity) of flour, ghee and sugar is used. you can serve this atta halwa after meals as a sweet dessert. they can also be had with pooris. infact, halwa puri combo is quite popular in north india. you can also have sooji ka halwa with pooris. this halwa is generally had hot or warm. so if you refrigerate the leftovers, then warm the atta halwa before serving. there are no flavorings added in this wheat halwa, so as to get the best flavor of the whole wheat flour. you can also add some amount of rava or sooji to give some texture to the halwa. with just the whole wheat flour the halwa is too smooth. 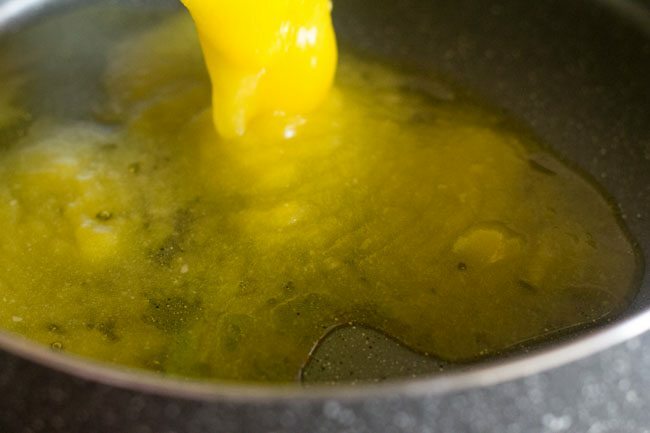 heat the ghee in a heavy bottomed kadai or pan. add whole wheat flour to the hot ghee and start roasting it. meanwhile, take sugar and water in another pan. 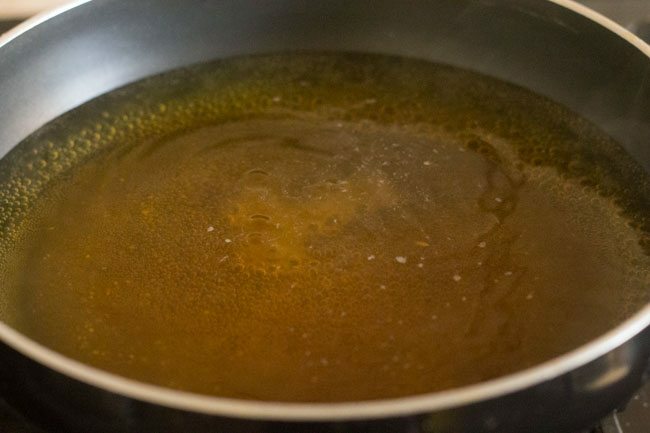 keep this pan on a medium to high flame and let the solution come to a boil. 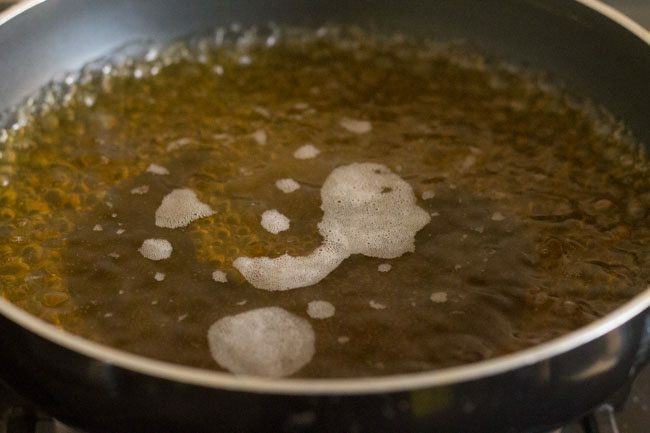 fry the atta stirring continuously till its color changes and you get the aroma of roasted whole wheat flour. 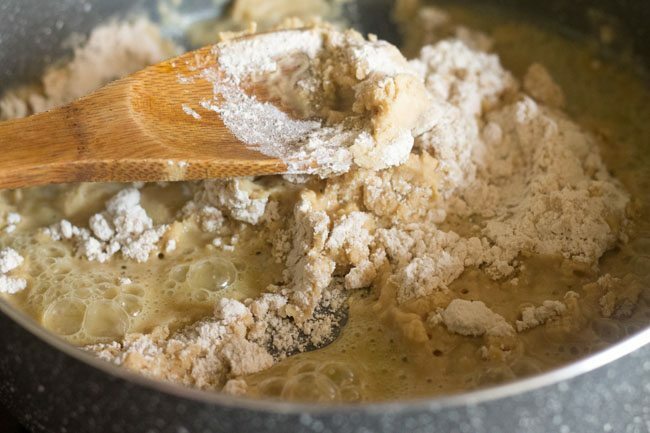 keep on stirring the flour to ensure even browning. in the meanwhile keep your eyes also on the sugar solution. if the mixture starts to boil, then lower the flame and let it simmer. the atta or whole wheat flour should turn golden and give a good fragrance. plus also begins to release ghee. 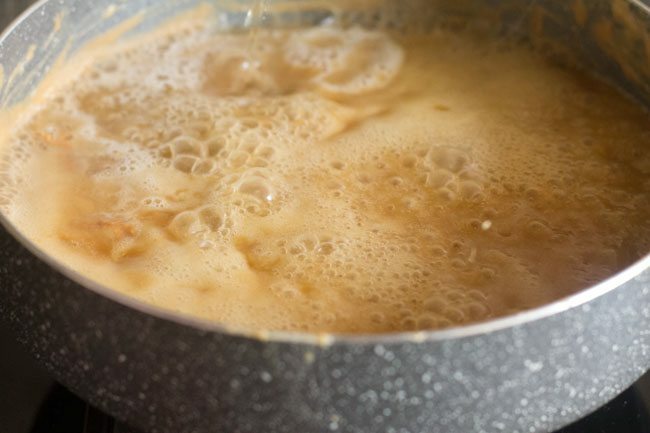 increase the flame to high for the sugar solution to bubble and when it starts to bubble in a matter of seconds, immediately add it to the hot atta mixture. 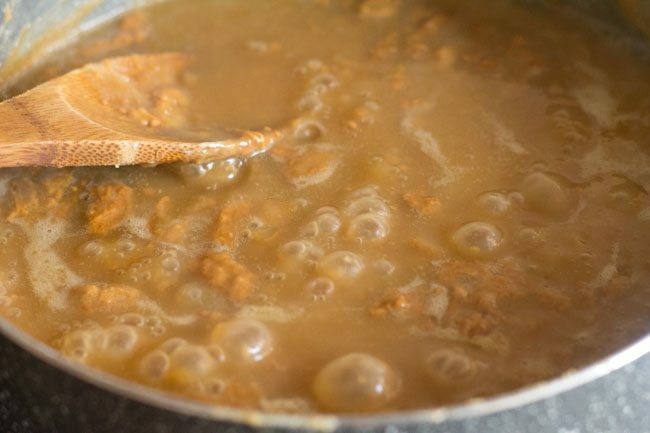 be careful as the mixture has the tendency to splutter. continue to stir with all your hand force, so that no lumps are formed. 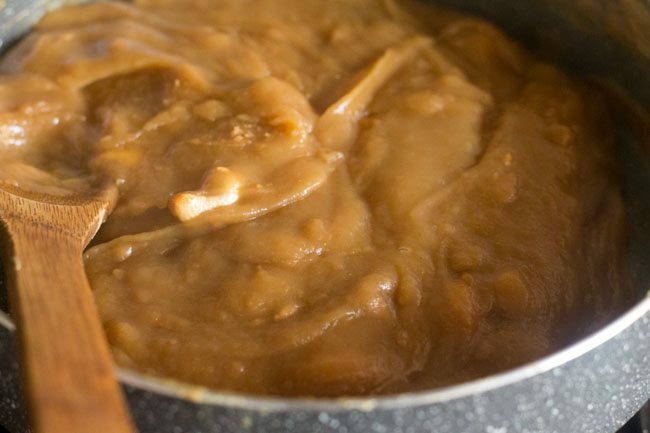 atte ka halwa will absorb water and continue to thicken quickly. keep on stirring. so that lumps are not formed. when wheat halwa is semi thick or thick like a sooji halwa, switch off the fire. serve atte ka halwa hot or warm. 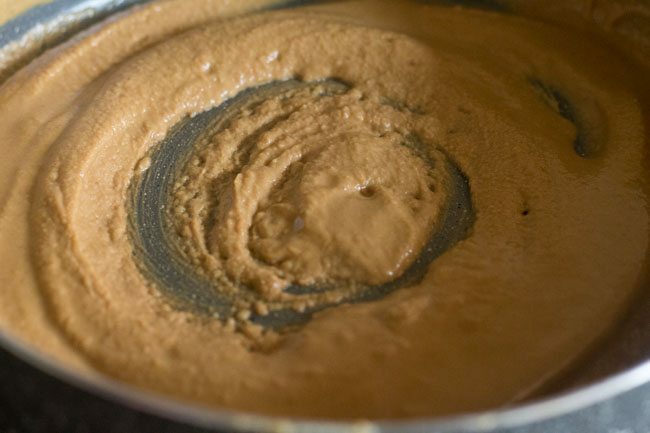 the sugar solution needs to be hot when you add it to the roasted atta mixture. there are no thread consistencies formed in the sugar solution. 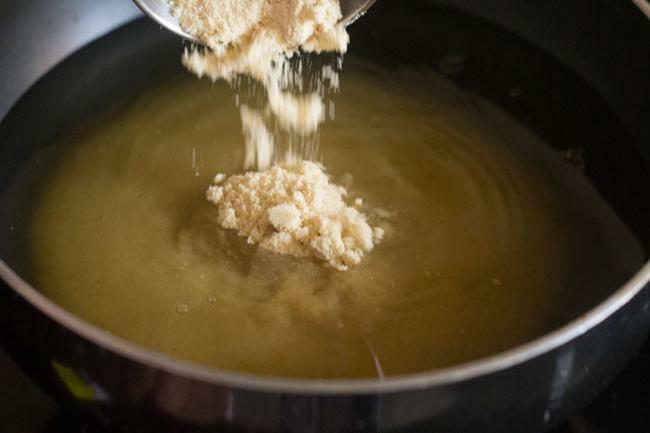 the sugar solution just needs to come to a boil. 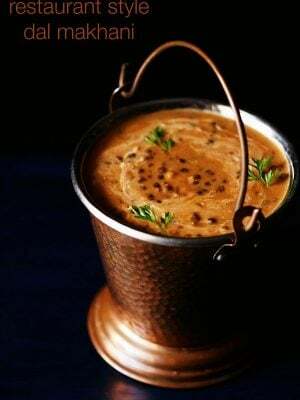 use thick bottom kadai so that the atta does not get burnt. you can use regular sugar or organic sugar. you can even use jaggery powder. if you want to add kishmish (raisins) then add at the very end when the halwa is almost done. 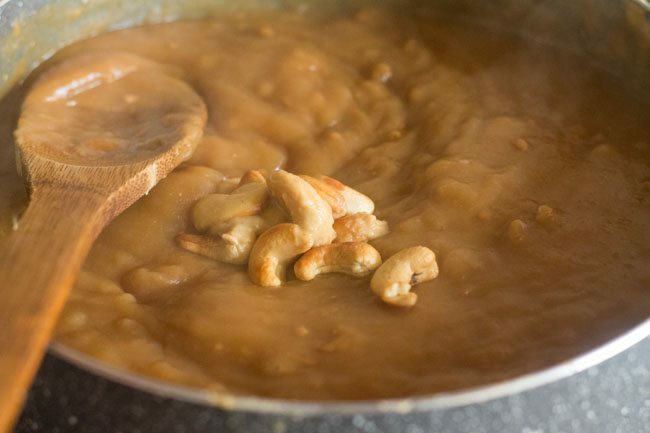 instead of cashews you can also add almonds in the halwa. you will need to fry the almonds just like we have fried cashews. if you want to add pista (pistachio), then add them where you have added fried cashews in halwa mixture. 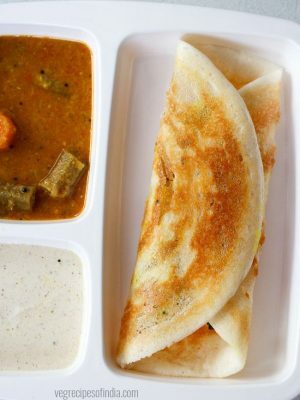 no need to fry pista, they can be added directly. keep both the pan on two burners simultaneously. so that once the flour is roasted, the sugar solution is also hot. roast the atta on a low to medium-low flame. 1. firstly measure and keep all the ingredients ready for making atte ka halwa. 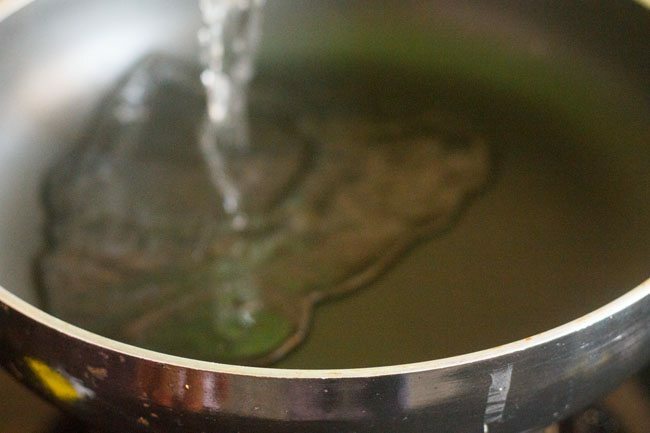 2. in a kadai or pan, add 2 cups water. 3. next add 1 cup sugar. i have used organic sugar hence the color is slightly golden. you can use regular sugar or organic sugar. you can even use jaggery powder. 4. heat the water and sugar. we just need to make a sugar solution. 5. let the solution come to a boil. we have to add this hot boiling sugar solution to the flour mixture once its roasted well. but do make sure that there are no thread consistencies formed in the sugar solution. the sugar solution just needs to come to a boil. 6. meanwhile, in an another heavy kadai or pan, add ½ cup ghee. remember to use thick bottom kadai so that the atta does not get burnt. keep both the pan on two burners simultaneously. so that once the flour is roasted, the sugar solution is also hot. 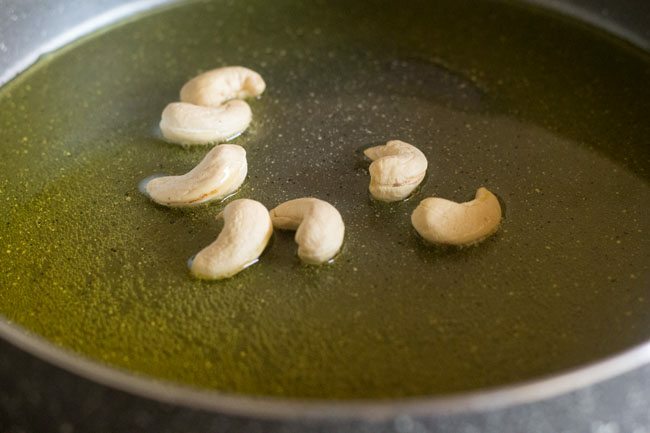 7. when the ghee becomes hot, then add 1 tablespoon cashews (kaju). instead of cashews you can also add almonds in the halwa at this stage. 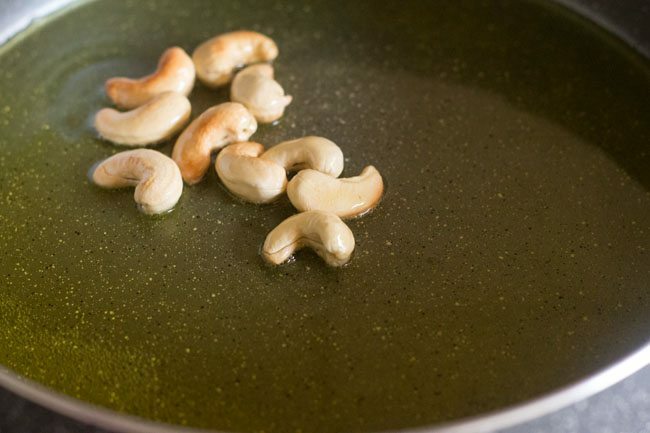 8. fry the cashews till golden. remove the fried cashews and place aside. 9. in the same kadai (or pan), add 1 cup whole wheat flour (atta). 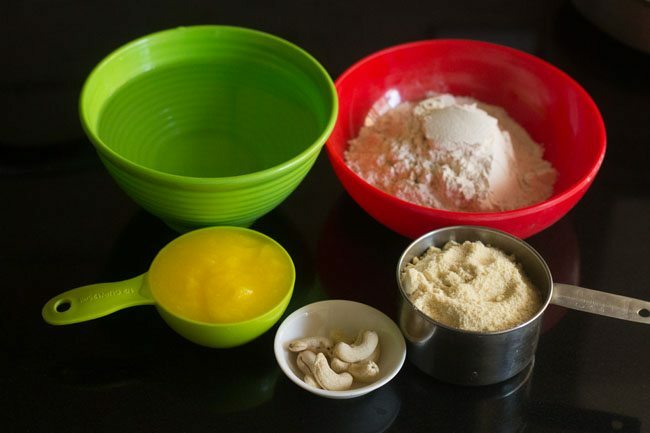 11. roast the whole wheat flour, stirring continuously till the color of the flour changes. roast the atta on a low to medium-low flame. 12. you will soon get the aroma of roasted whole wheat flour. keep on stirring to ensure even browning. 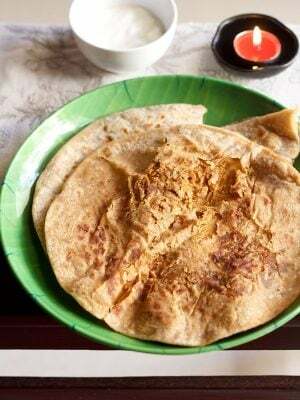 13. when the atta or whole wheat flour has turned golden, gives a good nutty fragrance and starts to release ghee. 14. then add the bubbling hot sugar and water solution to the atta mixture. 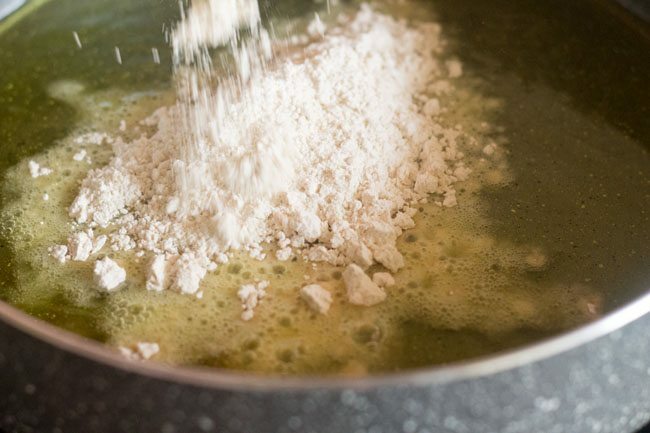 be careful as the mixture has the tendency to splutter. 15. continue to stir and mix very well. you cannot take a break at this step. so stir continuously. 16. keep on stirring so that lumps are not formed. 17. next add the fried cashews. if you wanted to add pista (pistachio) in the wheat halwa, then you have to add them at this stage. no need to fry the pista before adding. 18. keeps stirring continuously. 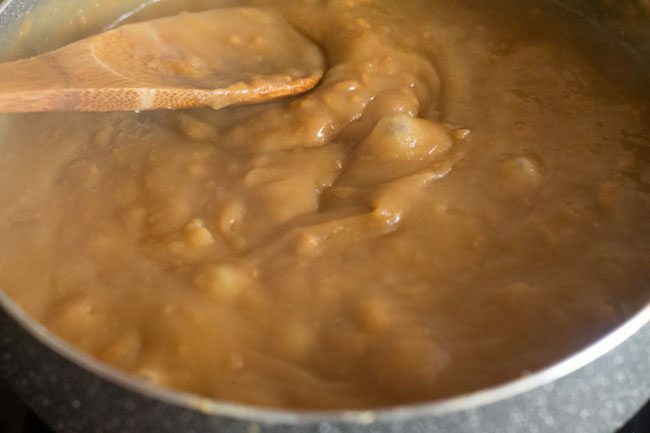 the atte ka halwa will absorb water and will continue to thicken quickly. 19. when the wheat halwa consistency is semi thick or thick like a sooji halwa and the ghee is also released from the sides. switch off the flame. 20. serve atte ka halwa hot or warm. 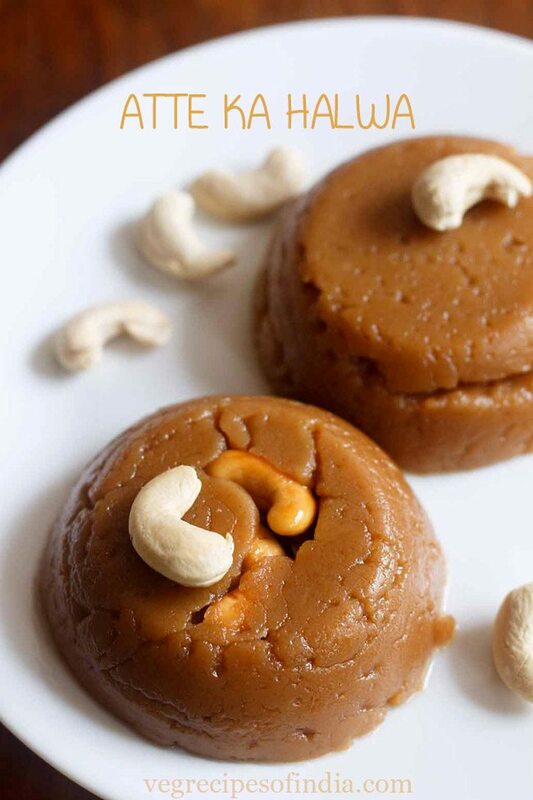 for more delicious halwa varieties, you can check this collection of 31 halwa recipes. Hello, pls let me know at which stage do i need to add sooji – a/with wheat flour in the beginning & and its qty? Tks. aparna, you can add sooji with the atta itself and fry both of them together. whole wheat halwa is my favorite dish. thank’s for sharing! 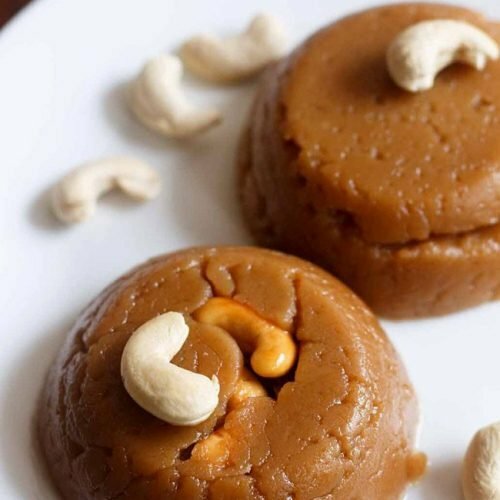 Hi.. Is kada prashad and atte ka halwa same? Cuz u had mentioned tht its ur fav sweet dish hence I tried checking for the recipe and found atte ka halwa on ur website. 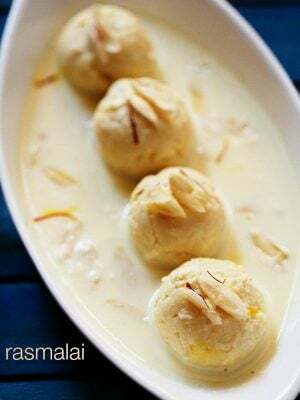 I find kada prashad on other sites but want only ur recipe hence wantd to check if its the same thing. Thnx. the difference in both is the proportion of ghee used. sooji is also added in kada prashad. i will try to add kada prashad and thank you kaneez. Welcome Joyita. Glad to know this. Thanks for sharing your positive feedback on halwa recipe. 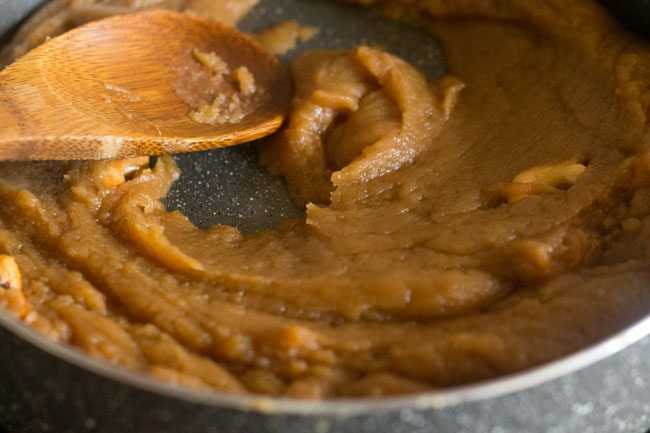 Hi dassana….I always make ur atta halwa… I had ur measurements of one n half cup flour, one cup sugar three cup water n ghee…to cross check images I echeck urs….but today I found this…n I did not able to find older…I did this …it was good…but may I ask u the reason for changing …that was also good…or did I not find that old post….confused?? ?n whether have you changed your mail I’d??? 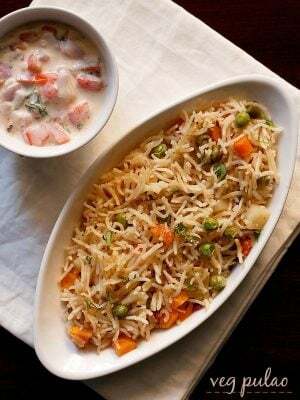 shubha, i have changed the older recipe. this new recipe is much better than the older one. in the previous one less ghee was added. in this one the ratio of ghee to flour is right and balanced. my email id is the same. 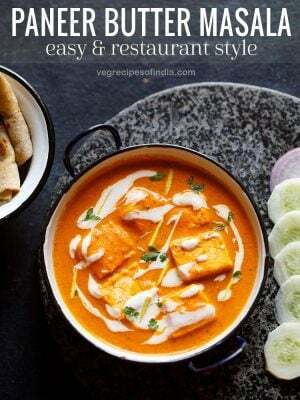 Hi dassana I just love all your recipes and tried many of them. I tried this halwa today but it was bit sticky. Is it should be the same way or I have done any mistake? Thanks Pratiksha. The atta has to be roasted very well. 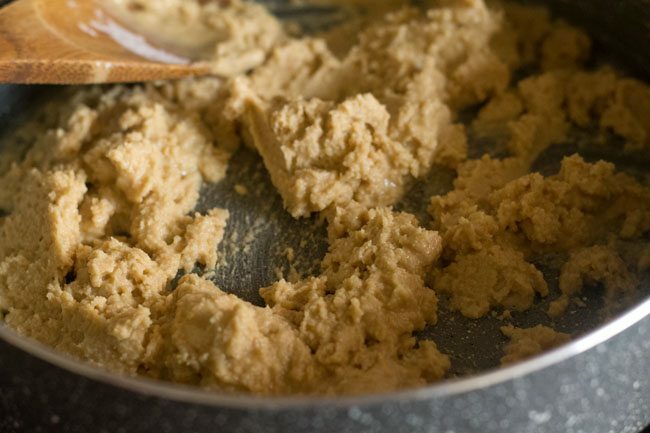 the ghee should release from the whole wheat flour.